Connect all of your systems and services in one intelligent platform for better efficiency, improved processes and productivity, increased business insight, and complete peace of mind. Control your Z-Wave® enabled lighting, thermostats* and shades—an excellent way to save money and energy. Unlock doors for employees remotely or arm or disarm your security system. Learn about important events inside and outside your business via email, text messages or video notifications. View up to 100 sites with one login—great for franchise owners and businesses with multiple locations. With Lifeline and Honeywell’s Total Connect, you can manage your security system with a simple tap on your smartphone. Total Connect Business empowers business owners with complete control of lighting, thermostats and appliances in real time from anywhere, anytime, resulting in significant energy savings. 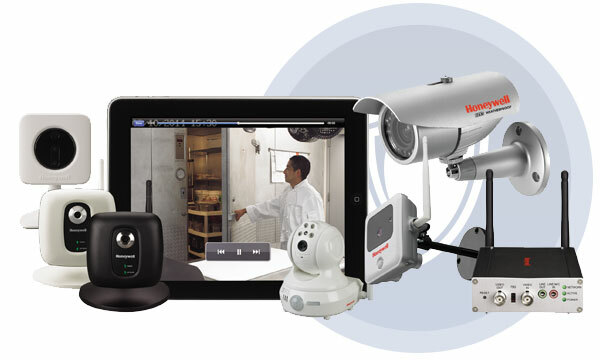 Keep your finger on the pulse of your business with Honeywell’s Total Connect™ Video Services and receive interior/exterior images anytime, anywhere over internet connected devices such as smartphones and tablets. If your business has a small fleet, you need to know where they are at all times. GPS Vehicle Tracking can be seamlessly integrated in your Honeywell Total Connect System. Integrate Innovation. Empower Business Success. Right from your mobile devices, you can see who is walking through the front door and who is leaving, who just went into your office or if there’s someone in the stockroom. View live video feeds from indoor or outdoor cameras at work or on the go for anytime peace of mind. Think you forgot to lock the door to a restricted area? Just reach for your smartphone and check. You can keep an eye on your employees in the front of the store or supervise a delivery on your mobile device when you’re away. The possibilities are endless.